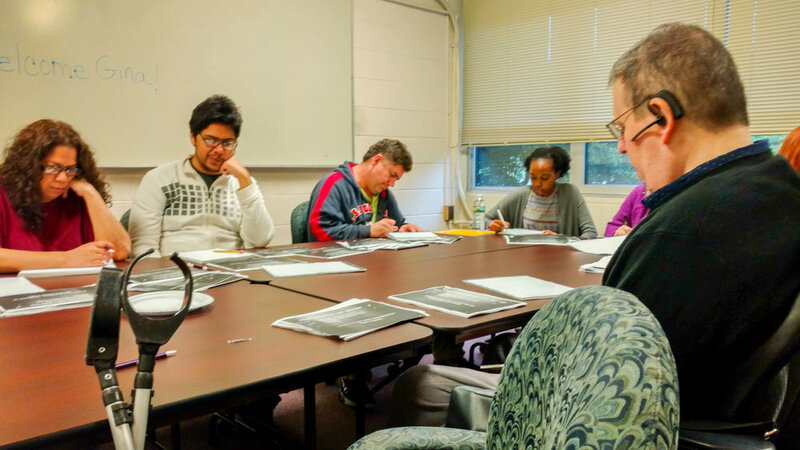 On May 22nd, friends of ACI gathered at the PeopleCare Center for Nonprofits in Bridgewater to share their creative writing endeavors. Poets, Short Story writers, Essayists, Novelists, and novice writers spent the evening sharing and giving feedback on their work. Participants took part in prompt writing exercises to practice spontaneous writing. Discussions spanned from writing styles, reasons people write, important writing topics, and issues related to sharing your work with the public. Thank you to all that attended for making it a fantastic evening and big thank you to PeopleCare Center for Nonprofits for opening your doors to our group! Posted on May 24, 2017 by Brian Mazzarella and filed under Workshop, Social Rec.